Will the t-mobile version be unlocked? Last year it was. Hi. Please suggest: Verison and Sprint are CDMA versions, since unlocked, will they be working on GSM network without any problem? Hi, I would like buy an Iphone 6, but could you please tell me the diference between T-Mobile Free contrac Model and the UNlocked Model? (MG3H2CL/A MG5A2LL/A ) Can we use the T-mobile free contract Iphone with other SIM Card? I will use the Iphone in Venezuela with the carrier (Telefonica/Movistar) Thanks!! To unlock an iPhone 6, you just need to provide the IMEI. You do not need to open the box because it is printed on the back of the box. I submitted a request on their website, they sent me an email saying “We are unable to process your request through this channel”. Any idea? Carriers won’t unlock your device if you are still under contract with them. You may need to call in and tell them you are traveling overseas. Hello, just to submit an international iPhone 6 16bg grey space model: MG472B/A from Bulgaria. Do you think will the T-Mobile/Contract-free model: MG542LL/A work in Bulgaria? If it’s “factory-unlocked” from an Apple Store it should work fine. hi, i got one i6 128GB gold, model A1549, part no. MG592LL/A. Can this mobile use in asia countries e.g. Singapore, malaysia, taiwan, korea..etc? whats the model number of Ihone 6 unlocked ? is it A1586? where it can work worldwide ? Because my model number starts with NG4 too. Thanks! It may just be a refurbished model. I came across an iphone which model number ends with AA, which country is that? 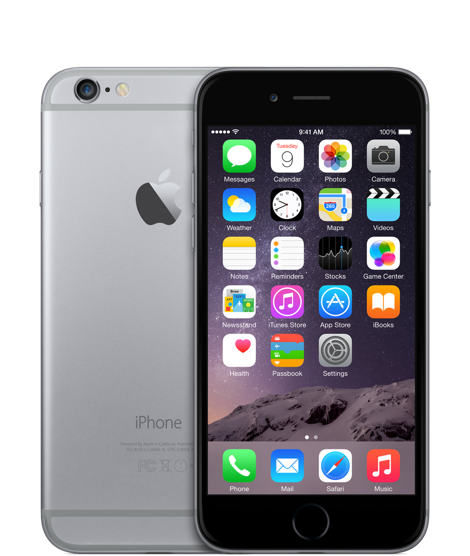 I have a iPhone 6 16GB Space Gray (CDMA) Verizon Wireless MG5W2LL/A. is it an open network or no? Is it possible for this device to work on gsm networks without problems? I have an iPhone 6 64 gig, space grey, Model A 1549, Part No MG5A2LL/A, will this phone work in Qatar? Please Advise.. Thanks in advance.. I have bought the iPhone MG4N2LL/A as a AT&T unlocked iPhone 6. Why do I have to start it imperatively without the AT&T chip that comes along already from teh very first time? Does it lock into AT&T if I start it the first time with the chip it comes mounted from the APPLE Store? I use and like Iphone 6 + because it big screen is convenient to operate.touch ID was great. The T-Mobile Factory Unlocked and the SIM-Free Factory Unlocked iPhones from the Apple Store differ in their part numbers. Hi, I bought an iPhone 6 64GB Silver Apple SIM-Free Factory Unlocked MG4H2LL/A , A1586 in US. Somehow it is not working in China with China mobile 3G/4G. 2G is working, but super slow. Is there anything I can do to overcome this problem? I was told that the Hongkong version (which is also A1586) is working in China mobile network without limitation. Is there any H/W difference? Can I change my phone to same S/W or F/W like the Hongkong version? hi there plz help me,,my model is MG492AA/A is this USA??? Do the Verizon and Sprint models work with GSM carriers like AT&T, T-Mobile and their respective MVNOs? Should I be worried buying such a model ? Buenas tardes tengo modelo MG3C2CL/A, esta conmpañia tigo, sera que se puede liberar, ya se termino el contrato.